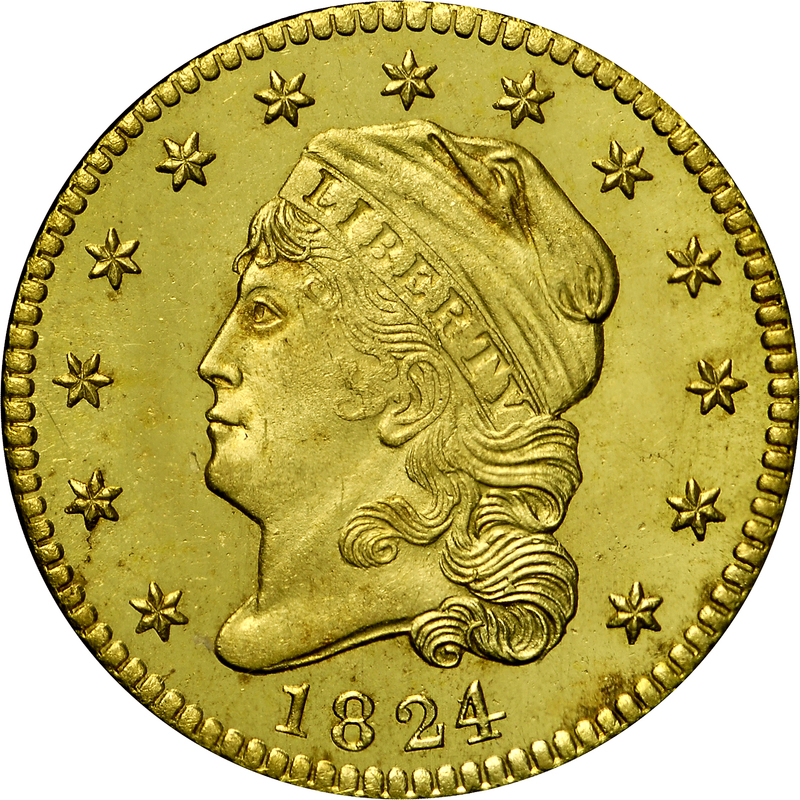 This variety is an overdate utilizing an 1821-dated die not previously in service. Although it was believed by some that this was the same obverse die used in 1821, there are clear differences that prove otherwise. For example, the lowest left star points to the center of a dentil on this die, and points between dentils on the 1821 issue, HBCC-3018. This outstanding example has fully proof surfaces and is undoubtedly the finest known. 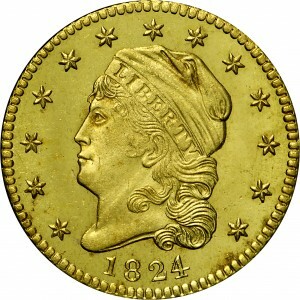 It was listed by Walter Breen in his Encyclopedia of United States and Colonial Proof Coins and sold at public auction in 1972 from the Russell Heim Collection. From RARCOA's session of Auction '85, July 1985, Lot 357. Earlier from Mayflower Coin Auctions' sale of the Emerson Gaylord collection, May 1963, Lot 101 (as Proof); and Stack's sale of the Russell Heim collection, June 1972, Lot 784 (as Proof). "Presentation strike! 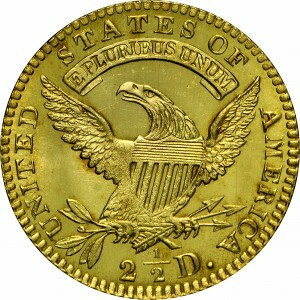 Reverse: That of 1821A."